Together, the Friends of the Pima County Public Library support the Library and make Pima County a better place to live and work. Library lovers of all ages—from 1 year to 100 years—can find programs that excite the imagination, inspire, educate, and entertain because Friends like you choose to support the Friends of the Pima County Public Library. The money we give to the Library goes directly back to the community to create reading programs, workshops and events for children, teens and adults, GED, computer, job-search classes, and more. 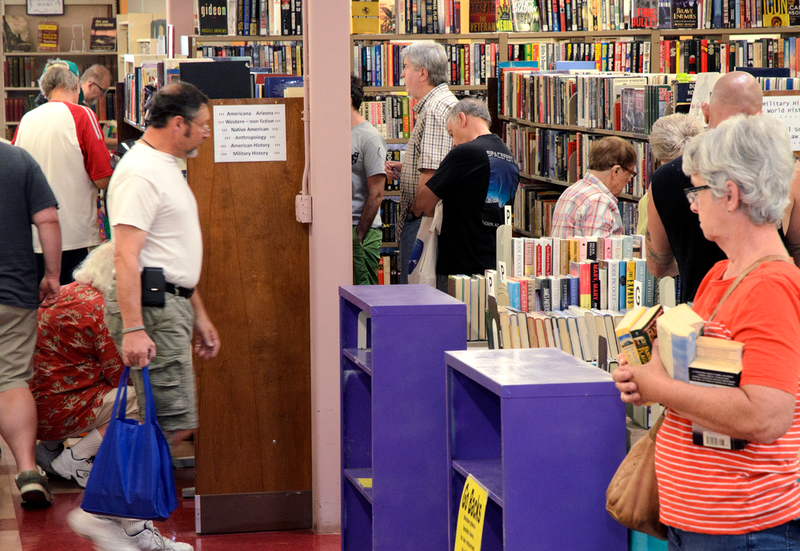 Whether you buy books, donate, or volunteer to help us – your efforts help make Pima County a better place to live and work. Join over 1500 Members and 300 Volunteers! You’ll be amazed at the low prices and the great selection of books, CDs, DVDs, audio books, vinyl, and more at our monthly book sales. You can also buy books online! Donate books & audio/video items. If you loved it – share it with the Friends and know that your donation will support our Library. Our members are the backbone of the Friends. Learn more about membership here. You'll be the first to know about our next Book Sales, upcoming events, and new initiatives.